Franz Joseph was born as the oldest child of Princess Sophie of Bavaria (Archduchess Sophie) and Archduke Franz Karl of Austria in Schönbrunn Palace on 18 August 1830. His mother, Sophie was preparing and educating him for his future role as the emperor of Austria from his early childhood because his uncle, Ferdinand I & V was incapable of ruling and abdicated on 2 December 1848. After succeeding the throne, actually it was Sophie who ruled as a “secret empress”. 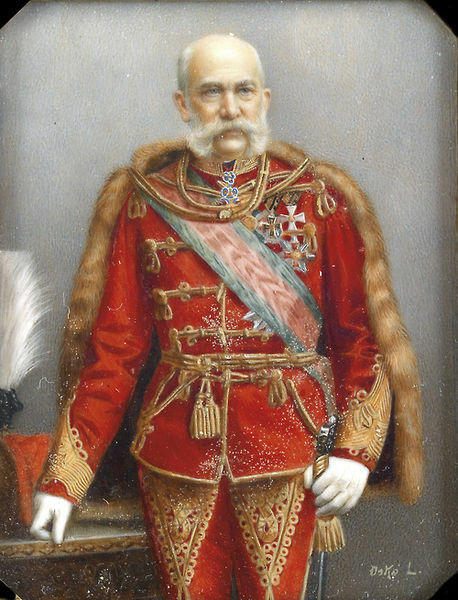 At the age of 18, Franz Joseph became the ruler of the 600-year-old Habsburg dynasty, which was one of the most influential and outstanding royal dynasties of Europe. The life of the Emperor was strictly regulated since his childhood, however, his marriage to his first cousin, Elisabeth, the younger Bavarian Duchess was a love match. He loved his wife until his death, however, the marriage was not a happy one. He lost two of his children (from the four), the two-year-old Sophie in 1857 and his only-son, Crown Prince Rudolf in 1889, whose death affected him deeply. The cause of his death still has not been ascertained: one cannot say for sure whether it was a murder or a suicide, there are pros and cons supporting both possibilities. The hardest tragedy of his life must have been the death of her beloved Sisi, who was assassinated by an Italian anarchist on 10 September 1898 (read more on it: The Assassination of Sisi). The exhibition on the occasion of the centenary of Franz Joseph’s death (b.1830-d.1916) revealed facts, which not many know, such as Franz was fond of drawing while being young, and completed wonderful pictures. However, he was most attracted by the military since his childhood, and during his whole life he wore military uniform whenever it was possible, or wore a comfortable hunting dress when he was on the countryside. Hunting was his life-long passion so there were imperial hunting resorts all over the empire. For instance, Bad Ischl, where he was reintroduced to Elisabeth, his future wife on 16 August in 1853, provided him with a refuge from the rigid ceremonies during his whole life. Hunting was the activity, which he could do together with his beloved Sisi. Elisabeth was a passionate horse rider and loved coursing like him. 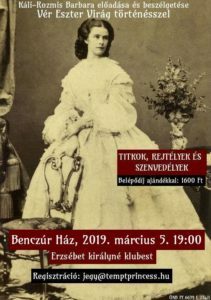 After the Austro-Hungarian Compromise, they both enjoyed spending time in the estate of the Royal Palace of Gödöllő, Hungary, which was a refuge not only for Elisabeth but Franz Joseph as well. His daily routine was strictly planned down to the last detail. He got up at four a.m. - five in winter - then after a quick wash in the cold water prepared in advance in a washbasin, being a strong Catholic, he said the morning prayers on a kneeling stool next to his bed. After that he had a modest breakfast then began the work at his study. If he did not have breakfast in the small family dining room, he had brunch at one o'clock (usually while working), which was followed by a 30-minute walk. The average weekday lunch was usually beefsteak or other kind of meat, which was also often consumed at his desk while working. As mentioned above, he regarded himself as the first officer of the monarchy and felt working as an obligation. After dinner, he spent one or two hours with his family or his guests and usually went to bed at eight o'clock. 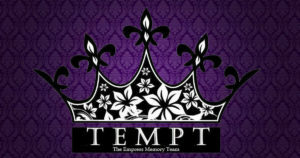 The Emperor liked simplicity, he had the modest personal requirements. Although he had several magnificent carriages, he preferred to drive plain, two-horse carriages, which were inexpensive. He slept on a simple bunk as it can be seen below: the bedroom of the Emperor in Schönbrunn Palace - this is the room and the bed in which he died surrounded by his loved-ones at the age of 86 at 9:15 pm on 21 November 1916. Franz Joseph reigned for almost 68 years, he survived several wars, such as the Hungarian Revolution and War of Independence in 1848-49, furthermore the Italian Wars of Independence and the German ones. 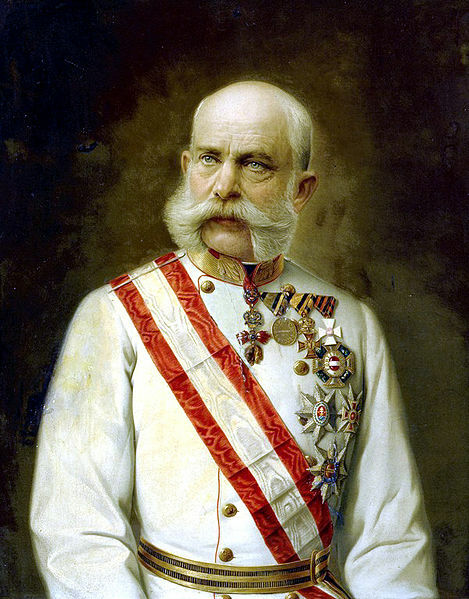 One of his most well-known acts is the Austro-Hungarian Compromise. Since his only-son, Crown Prince Rudolf had died, he was succeeded by his grandnephew, Charles, who became the last ruler of the dynasty as well as the Austro-Hungarian Monarchy (Charles I and IV was ruling from 21 November 1916 until 11 November 1918). It was Franz Joseph whose signature ultimately unleashed the World War I and led to the fall of his empire and the Austro-Hungarian Monarchy. 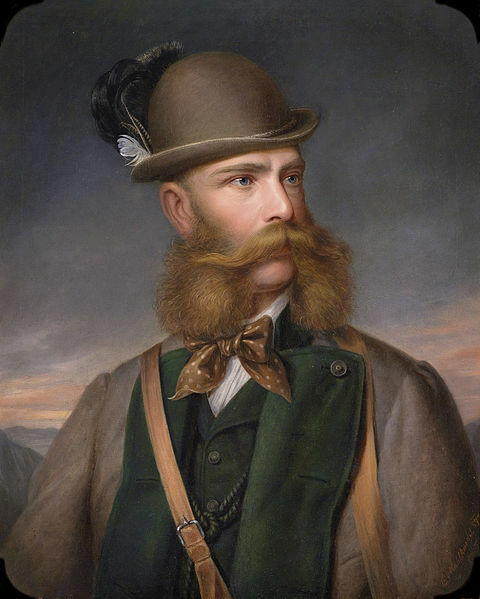 Franz Joseph has been dead for a hundred years but his legend lives on. Ingrid Haslinger - Olivia Lichtscheidl - Michael Wohlfart: The Residence of Empress Elisabeth. Get to know more about Franz Joseph and visit Hofburg and Schönbrunn Palace in Vienna - to visit their website, click the photo below. In Hungarian / Magyarul: 100 ÉVVEL EZELŐTT EZEN A NAPON HALT MEG FERENC JÓZSEF - 1916. november 21.